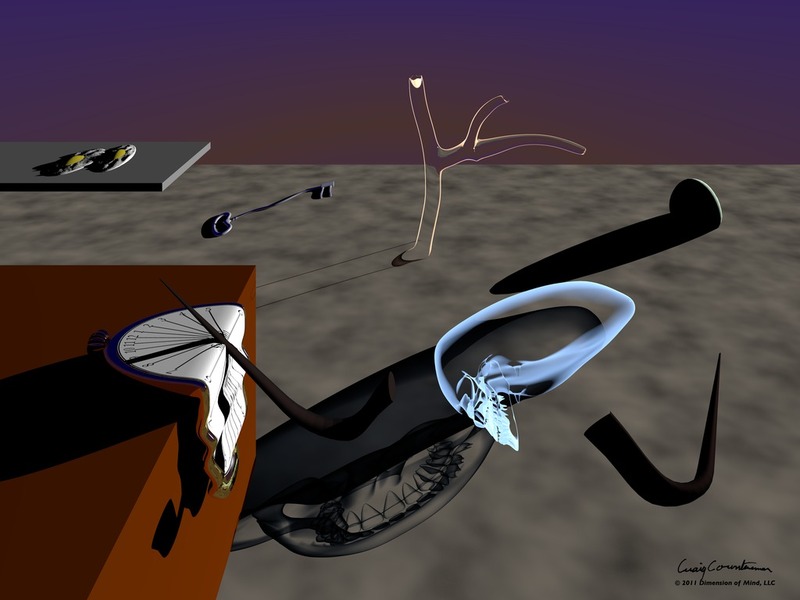 My interests in timekeeping, art, and astronomy collided with an attack of metathesis to produce the SunDalí, an homage to Salvador Dalí. 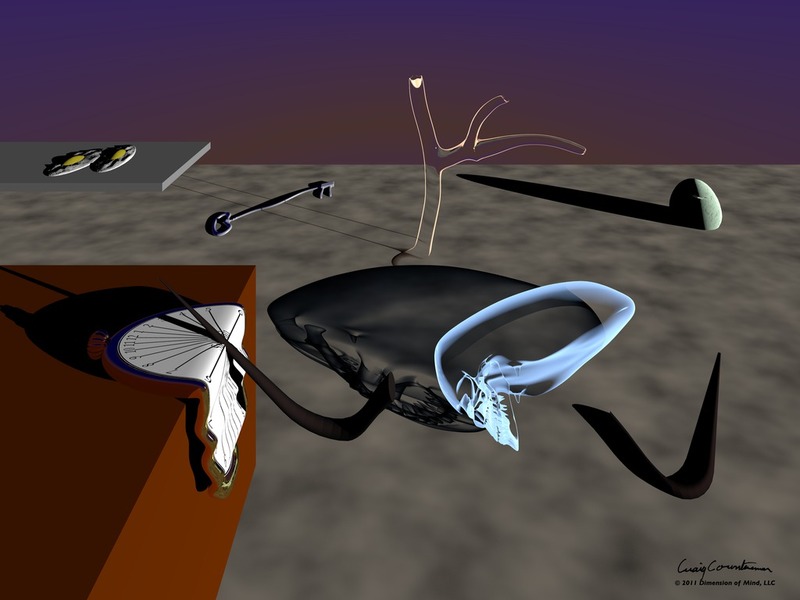 A 3D model world, with elements reflecting Dalí's "Persistence of Memory" and themes in other of his works. A surrealist soundscape of natural and man-made sounds, combined with a folk tune from Dalí's native Spain. Applications to let you take the SunDali with you and customize your experience. Applications, including iOS for iPhone, iPad, iPod touch, and a related Mac OS X version. Latest release for iPhone, iPad, and iPod touch September 2013: 1.4.0 recreated with support for iOS 7 and iOS 6. Wallpapers for you to download. These are available for no charge, but please consider donating using the button below. You may purchase high quality prints from my Etsy store. Custom sizes are available, and if there is a particular time of day you want the image to present, that's available too. From this site I offer real-time presentations of the day, one with full soundtrack. Download for iPad, 1080p HD, 720p HD, or 640x480 . The movie starts at midnight and goes until the next midnight. Start it any time and seek to the current time, and leave it running as a clock. If you enjoy this, please donate using the button below. Currently available are iOS versions for the iPhone, iPad, and iPod touch: available through iTunes. A related Mac OS X version is available here.